All Page/Plant items listed below are authentic and very limited. We do not carry multiple items. All prices and availability are subject to change. All prices include shipping and handling for all USA customers. All other destinations will require actual shipping cost to complete transaction. Have a question? Ask us before purchasing the item. Thank You. 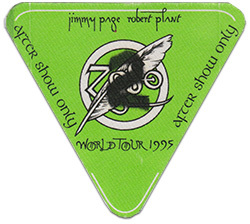 Description: 1995 Page Plant Un-Led-Ed After Show Pass. 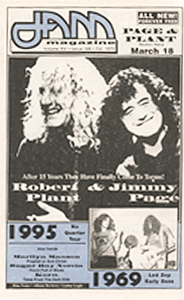 Description: 1995 Jam Magazine featuring Page Plant. 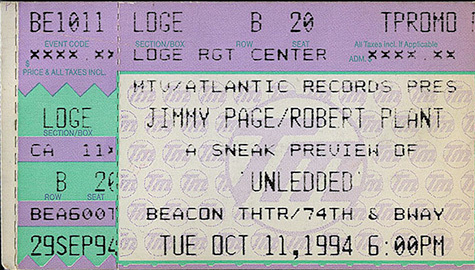 Limited printing of 10,000 copies. 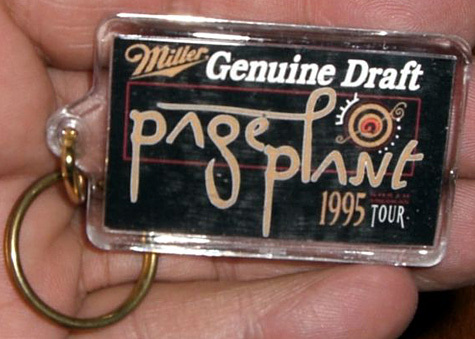 Description: 1995 Miller Genuine Draft Beer Promotional Keychain. 1x2 plastic with key ring. Item in mint condition. Hover over image to view the other side. Description: 1995 Page Plant Miller Genuine Draft Promo plastic beer cup. Limited item. One cup in stock. 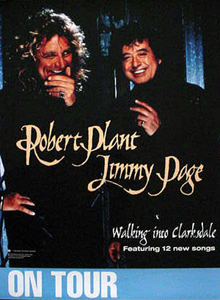 Description: Page Plant Magazine Test Poster. 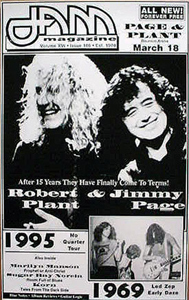 Test print for 1995 Jam Magazine cover. Size 15x20. Item in mint condition. 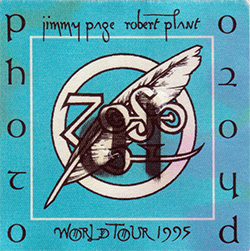 Description: Page Plant 1995 On Tour Promo Poster. Size 19x23. Item in mint condition. 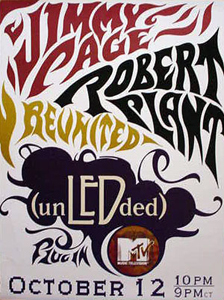 Description: Page Plant Un-Led-Ed Unplugged Promo Poster. Size 20x23. Item in mint condition. Some tears and creases.